During this class we will identify all of the key words that could be used to describe your product or service, so that we can use those words to collect information on who is buying those things. This exercise is a bit tedious, but your ability to identify the most promising customers for your business is predicated on getting accurate data in so please invest some time into this step. Step 1: First, we are going to think of all the ways that we can to describe what we do, so open your Customer Identification Worksheet, and navigate to the “Key Words” tab. Note on Products: Products tend to have definite names, part numbers, or some other identifiers; so, if you are thinking about selling specific products make sure you find out their “official” name or designation. Step 5: Go to Thesaurus.comand putting in some of your key words or Google your key words with the word “define.” Either way see if what comes back inspires you to think of other ways to describe your product or service. Step 9: When you open each company’s webpage look for an “our services” or “about us” section, and as always, add any promising key words you find to your worksheet. 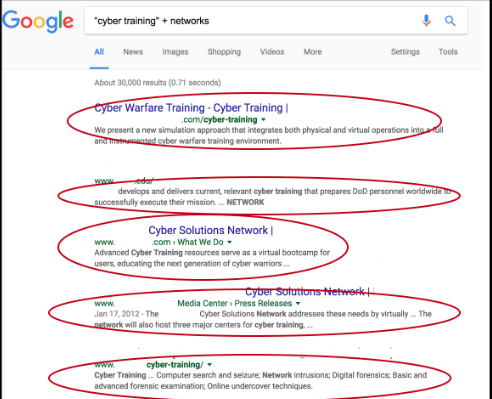 So in the example we can see all the different ways that this cyber training company describes what they do. Step 10: The last place to find key words is by search for what the government and large businesses have written on your topics to see how they describe it. To do this search for a few of your key words/phrases plus the phrase “federal government” and “*.pdf.” This will bring up white papers related to what you do written by the people who are also releasing the contracts, so the verbiage they use should be pretty instructive. 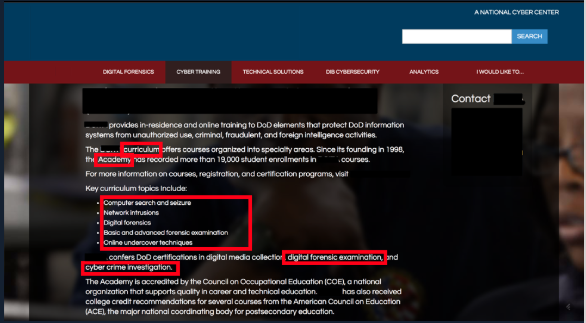 Note on Agencies: Different agencies may ask for the same thing using different words, for example the DOD may say “cyber training” while State prefers the term “cyber curriculum” so if you only used one in your searches you’d get the sense that only one agency was buying your stuff. Be aware of this and try to get key words from a variety of agencies. Output: By the time you are done you should have a list of all the different ways each of your products or services could be articulated in a contract. Notice that in almost every entry below there is at least one two word phrase in quotes, and that there is at least one other word there to particularize it. With these key words we should be able to get a representative sampling of data that will direct us to our most promising customers. 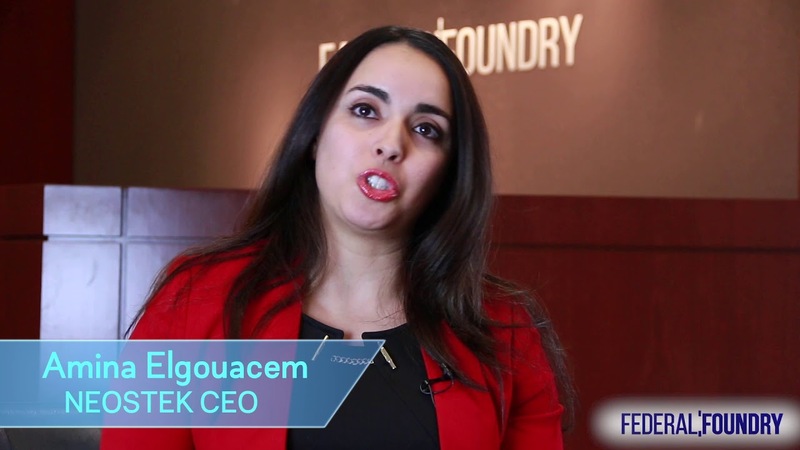 Topic: Why did you decide to start a government contracting company?